"Private hilltop haven offers 360 degree views, seasonal creek & pond bring abundant wildlife, 40 acres of usable rolling land, 3 wells, small orchard, gated entrance and an incredible custom built home. 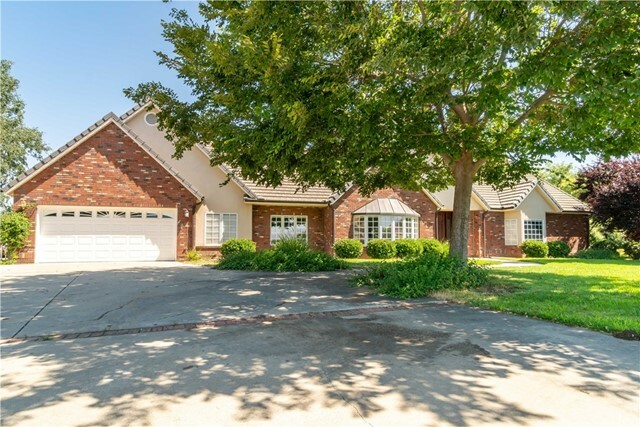 Main level; formal dining, living, kitchen with center island, breakfast bar and a dumbwaiter to upstairs game room, family room with french doors to the sun room, master suite and two guest bedrooms, huge laundry room, walk in pantry. Upstairs; game room with kitchenette & roof top patio and two additional guest bedrooms. Over sized 2 car garage with heated & cooled exercise room. Bay windows, coffered ceilings, in-direct lighting, built-in buffet and shelving. Dual zoned heat and air. Landscaped front & back yards, patio off master suite and sun room. Cross fenced, irrigation, older arena and corrals. Agriculture friendly; crops, livestock, horses. This home would be perfect for multi-generational family. Ag well inspections show 31-48 GPM; got water, this parcel does!!!" 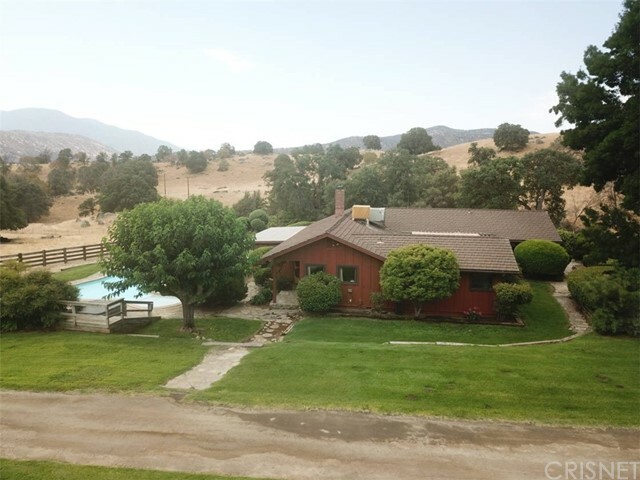 "Right above Springville, with a view to the East of Lumreau Mountain, sits a lovely 2250 sqft home with a 600 sqft office/guest house nestled in the center of 80+ acres, an ideal location for entertaining and is surrounded by wildlife; quail, wild turkey, deer and others. Located at the end of a one mile long 10 foot wide Paved Oiled Decomposed Granite Road, all of the buildings have Pella Dual Pane Windows and Doors, with 2 arched leaded glass floor-to-ceiling windows in the formal dining room, recently remodeled bathrooms, upgraded kitchen with handsome Granite Counters, and over sized double ovens. The interior has finished solid tongue-in-groove wood planks and give the house both elegance and warmth. Its a cattle rancher's dream with abundant water! There is a 120ft well, several bubbling springs, state registered legal pond, 3 metal water storage tanks (11,000 gal) that capture the gravity flow spring water for agriculture use & compound sprinkler system. This is a rare find!!" 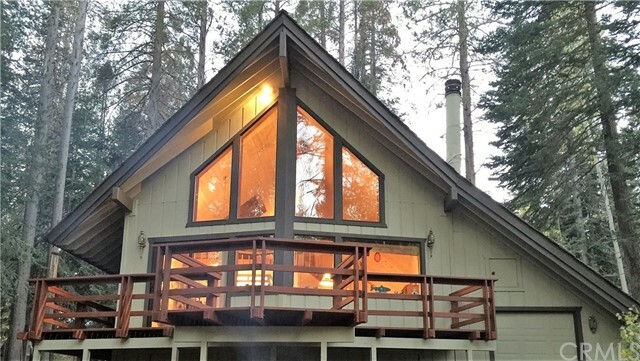 "At the end of the road, surrounded by mountain views and nature, this beautiful 2-story house in Camp Nelson, consists of 4,622 sqft with 5 bedrooms / 3 bathrooms. This large house has a brand NEW ROOF (solar reflective shingles with high profile ridge) that was installed on November 2018 and the exterior deck and banisters were remodeled/newly installed. Exterior of the house consists of mountain vertical cedar, covered entry, concrete patio with a pass-thru window from the kitchen. The whole area has a pressure water system feed by wells/tanks. This property consists of 4 large lots (2.55 acres) and each lot comes with its own water rights. The source of this water is from Grier Mutual Water Co and a total of 2 shares (#254, #148) are issued to this property. Total flat rate cost of water is $550 per year and there are no restrictions of how much water is used. There is a new septic tank and leech lines and a 500 gallon propane tank installed to the house in 2014. There is also an area leveled out that was used for a tennis court and helicopter landing pad. This property also comes with a smaller 1 bed / 1 bath guest house that needs TLC. Square footage of the guest house is not included in the listing description. Perfect for a vacation home or a family who enjoys privacy and tranquility. Seller financing available." "YOUR RETREAT AWAITS: Since 2003, the current owners have enjoyed this home retreat. 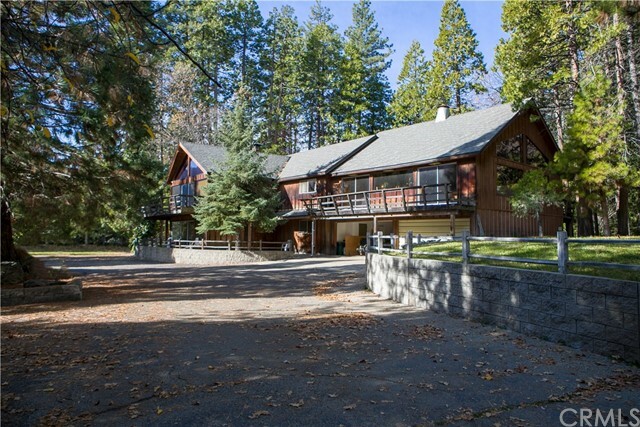 Located in Ponderosa, CA at the Giant Sequoia National Monument with an elevation of approx. 7200 ft. From Los Angeles, the drive is approximately 4 hours and another world awaits. This custom-built home retreat offers an open floor plan, 2 bedrooms and 2 bathrooms with a bonus loft -currently being used as a third bedroom. The light wood, soaring ceilings make this retreat home light and airy. There is a wood-burning fireplace in the living room with a view of the aspen trees and meadow. One bedroom and full bath is downstairs. Upstairs you will find a bedroom with a sitting area leading to a private deck, a full bath, and a smaller bedroom. Outside there are wrap-around decks, a natural circular driveway, and the garage offers two garage doors -one door in the front for your car and one in the back for your snowmobile or other toys. All of this and the sellers are including all large furniture and appliances -without value and without warranty."